"I am not your Superman, but she is not trying to be"
One thing that can be said about The Avengers opposed to the Justice League, despite having some of the coolest characters in comics, they do not have a Superman. Up to this point they did not really need one with the strength of Thor and Hulk, the charisma and finances of Iron Man and the moral centre of Captain America, Marvel had things covered. Then came Thanos, a villain that even this collection of superheroes could not defeat, which forces the creative team at Disney to look into the vast backlog of characters to find the one person who might be the solution to their gauntlet problem. The answer is Captain Marvel, not to be confused with Shazam, but we will let you Google search that naming issue. Carol Danvers (Brie Larson) is a former US Air Force test pilot who is bequeathed special alien powers during an accident on Earth. Due to her memories being muddled and knowing how she came to be on the planet Kree, the former pilot main thing she does know is that she is currently serving as a part of an elite military unit called Starforce. As they are on a mission to find one of their own agents, Vers (her name on Kree) is taken prisoner by the sworn enemy of her people, the Skrulls. As their leader, Talos (Ben Mendelsohn), attempts to extract information from her mind, the Kree agent manages to escape her enemies and finds herself stranded on Earth in 1995. While Vers attempts to reconnect with Starforce, she must find the Skrull forces that have infiltrated Earth before they take over the planet. Her presence on earth gets the attention of Nick Fury (Samuel L. Jackson), who is currently an agent of S.H.I.E.L.D. and is sent to investigate this unexplained phenomenon. The two of them are forced to work together to discover the whereabouts of the Skrull agents and to find the answers behind the former pilot’s unexplained connection with Earth. As the unlikely duo unearth the clues, the plot takes surprising twists and turns that lead to the explanation of her past and how she is the key to bringing peace across the universe. Captain Marvel provides an origin story to one of the more obscure and lesser-known characters in the Marvel liturgy. Even though it took some time to build her backstory and explain how this intergalactic figure connects to The Avengers, directors Anna Boden (first female director in MCU) and Ryan Fleck manage to deliver a solid introduction to the potential demise of Thanos. She may not be Superman, but she is a new kind of hero and does contain many of the characteristics of the saviour from another planet. The personality traits the two high flyers share are a stoic and intense resolve that causes their morals to be worn on their sleeve. What is hard to determine is if it is Carol Danvers or Brie Larson that carry these traits into this production. Even though she does prove to have the skills to lead the new wave of Avengers, she lacks the charisma to command any followers. These aspects to her personality may come to fruition as she becomes part of the overall ensemble of superheroes, but as a solo act, Caption Marvel is a bit underwhelming. Her supporting cast proves to be the saving grace of the film. Nick Fury gets a new life and provides the comic relief to counter Larson's flat performance. Samuel L. Jackson continues to prove his worth to this franchise and may be the connection between the two stages of the Marvel Extended Universe. 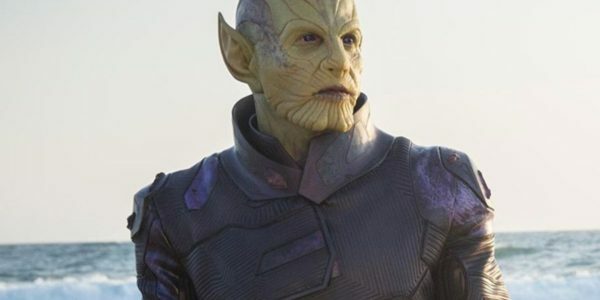 The only other character that manages to steal more scenes from the star of the show is Ben Mendelsohn as the leader of the Skrulls. He continues to prove his value as a compelling villain and one of the best character actors in the business. 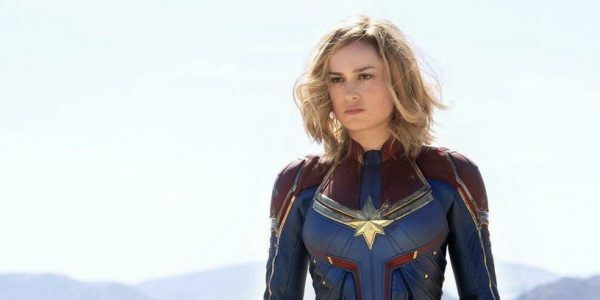 Captain Marvel as a film is no Wonder Woman and as a hero, she is not Superman, Captain America or Ironman but she may be the beginning of a new generation of heroes. Marvel fans can appreciate her abilities and everyone might just need to have a ‘wait and see’ attitude to see what she adds to this mix of superhumans and the future of this beloved franchise.